At Probst Law Office, Inc. we’ve been asked questions about criminal record expungement in Ohio, particularly what crimes are not eligible for expungement. As your Columbus Criminal Defense Attorney of choice, we want you to understand the legal process, particularly as it comes to the expungement of criminal convictions. In order to begin the expungement process, you must file a written application with the court. There is a fee involved. However, most courts charge less than $100 for each expungement application. From there the court processes the application and forward. After the court receives and processes an expungement application, it will forward the application to the Prosecutor’s Office for an official review and response. There are four criteria which must before met when the Prosecutor’s Office reviews your application for expungement. The conviction to be expunged is not precluded by statute from being expunged. 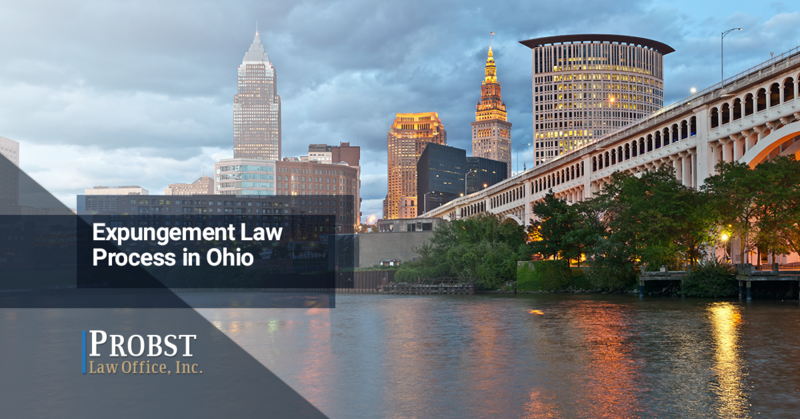 In Ohio, specific offenses cannot, under any circumstances, be expunged. These offenses include OVI/DUI/DWI drunk driving offenses and violent crimes. Additionally, an extensive list of crimes that are ineligible for expungement can be found on page 7 of the Ohio Justice and Policy Center and Ohio Poverty Law Center’s joint guide on Understanding and Sealing Criminal Records in Ohio. In order to be an eligible offender, you can’t have more than one felony conviction, two misdemeanor convictions, or not more than one felony conviction and one misdemeanor conviction in any jurisdiction. The law is complex when it comes to what counts as a conviction. It also takes discernment to see how many convictions may have been received during any one case. A criminal defense attorney will be able to help you navigate the waters here. There must be a final discharge on the conviction. The final discharge date of the case is the date of conviction. If someone is placed on probation by the court, this changes. In that case, the final discharge date is the date of termination of the probation period. The waiting period must be over. Ohio law states an individual cannot apply for expungement until one year after the final discharge of a qualifying misdemeanor charge. You must also wait three years after the discharge of a qualifying felony charge. After the state responds to the expungement application, a hearing will take place to determine whether the conviction should be expunged from your criminal record. If the assistant prosecuting attorney has no opposition to the expungement application, the applicant’s conviction is then expunged and sealed. Are you considering contacting a Columbus criminal defense attorney to help you out with your criminal record expungement? Don’t let a past mistake needlessly haunt you for the rest of your life. Michael has a lot of experience helping people restore their dignity and enable them to seek and keep jobs they are well qualified for, despite their criminal record. Contact Probst Law Office today for help through the process of sealing your criminal record in Ohio. You can also reach us at 888-223-3741 for your free initial consultation.